I am back on YouTube! The past few months have gone past in a blur of two moves, a career change and lots of unpacking. Now that I am settled in my new flat, it is time to get back into the whole blogging and streaming thing. Myself and my boyfriend Casey played through the main story of Lego Dimensions recently, and both of us loved it. Therefore, we have decided to stream each level pack on my channel, starting last night with the Portal pack. Although it was a lot of fun exploring the world of Aperture Science once more with familiar faces Chell, Wheatley and GLaDOS, the level is way too short. I expected a £30 level pack to be much longer than its 30-35 minute duration. It also works a lot better in single player. We found that this is mainly created for using Chell and her portal gun. The second player gets to destroy a lot of the scenery for lego coins, but other than that, there's not much for them to complete. 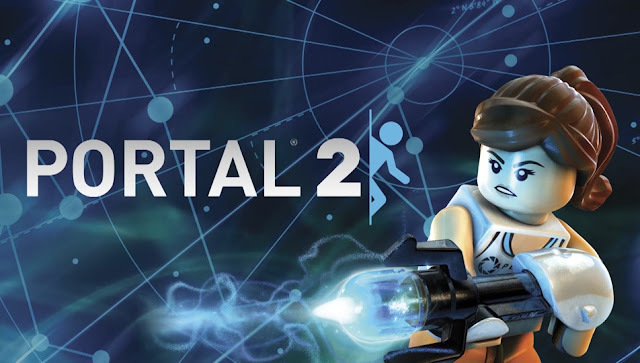 Nevertheless, the typical Lego humour is on top form here, giving Wheatley (a stellar return from Stephen Merchant) plenty of freedom to crack some fantastic one-liners, as well as allowing GLaDOS to return with her bitter cynicism...and science. No cake though, sadly. After completing the Portal level, players then get the option to freely explore the Aperture Science labs. Here, you will find fun little easter eggs and references to both Portal 1 and 2, as well as brief challenges to complete in exchange for golden lego blocks. Check out our play-through below of both the level and the open-world. We also threw in a little tour of the Lord of the Rings dimension too. Enjoy! 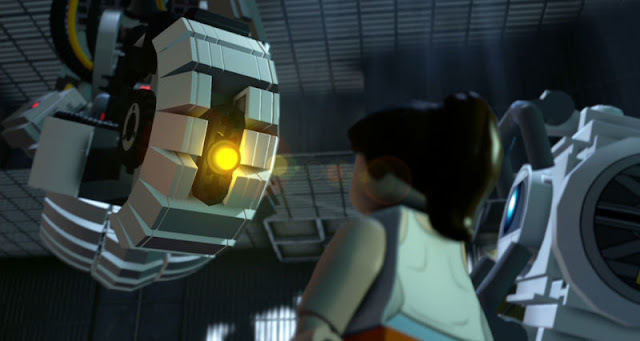 A mini-spoiler for those of you who are unaware, but Jonathan Coulton created a brand new GLaDOS song for the ending of Lego Dimension's main story. You do not have to purchase the Portal pack to hear this. Check it out below-it's pretty good! Stay tuned for more streams of Lego Dimensions level packs! Well I'm glad you bought this so I didnt have to!